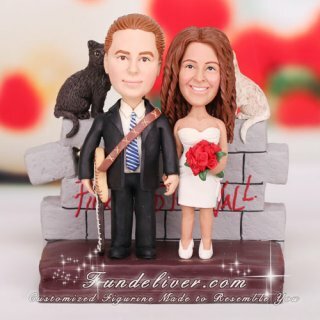 This is a completely customized rock band theme wedding cake topper ordered by one of our customers. Actually this is a surprise gift for groom ordered by the bride. She doesn't like cake, but he loves it then he is in charge of the cake and at the last minute she will change the cake topper for this topper. The groom is a Pink Floyd fan thus the bride would like to add some of it to the top cake, like having the wall with the band name behind them. Also he is a guitar player and she needs the strap guitar to be customized. For the base, she would like a stage shaped base since he performs in a band divineratio.com. Their two cats are added at this rocker wedding cake topper sitting on the wall behind. One grey cat is in bride’s side, another black in groom’s side. Pink Floyd were an English rock band who achieved worldwide success with their progressive and psychedelic rock music. Same fan of Pink Floyd or other rock bands? 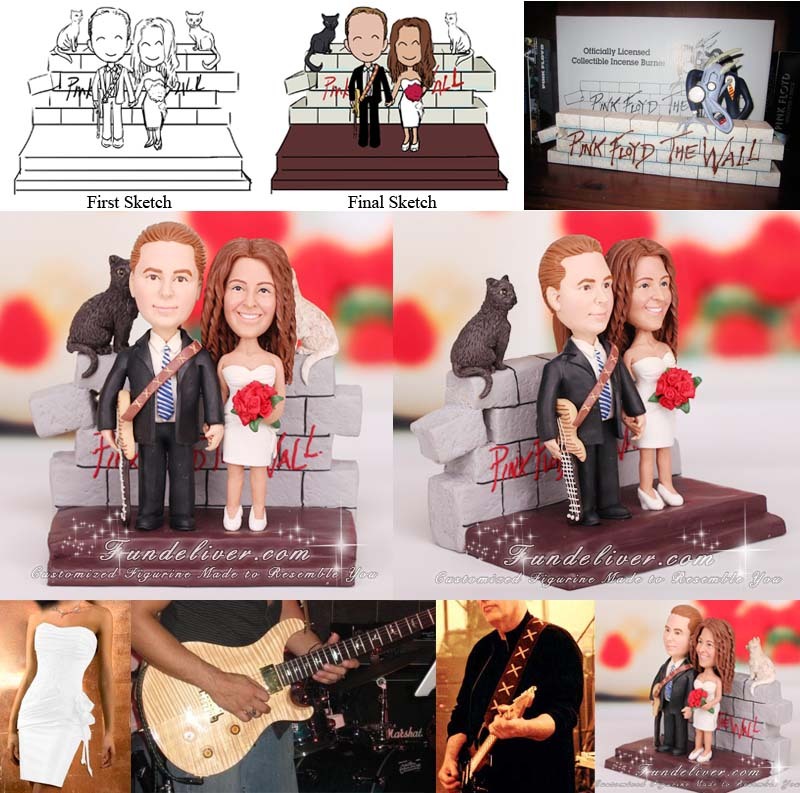 Why not create your own rocker cake toppers to reflect your favorite rock/pop bands?